As a result of rising cost of oils, increasing environmental regulations, liability and disposal cost, and new stringent vacuum requirements for manufactures warranties to .4 Torr @ 48hours, it is no longer economical to replace electrical insulating oils with new fluid. Instead, proper treatment of these fluids with our proven Hi-Vac Series renews dielectric strength and lowers residual water content by restoring oils to their original strength through vacuum dehydration & purification. Improvement of the entire insulating media of power transformers is obtainable with our HHV series High Vacuum (Hi-Vac) Oil Purifier. Our design meets the operational, economic, and environmental needs of industry and maintains the quality of insulating oils at the time of initial impregnation, filling at the factory, and maintains the same quality in field operation. 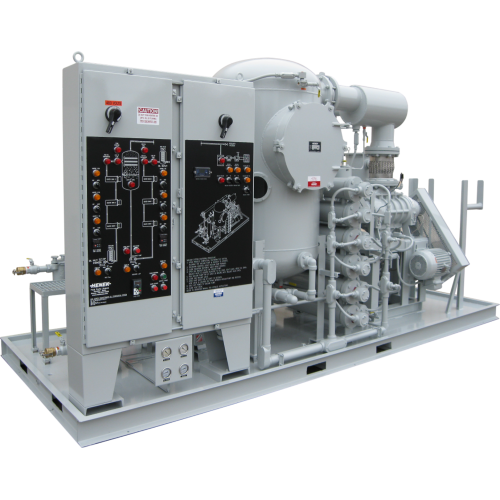 Our proven Hi-Vac provides reportable dehydration, degasification, and filtration techniques that remove even trace amounts of water to less than 5PPM and gases to less than 0.25%. An easy to read flow chart is provided on the electric panel and is superimposed over all switches, buttons, and indicating/warning lights. Our Hi-Vac can be used as stationary units or manufactured within a variety of trailer configurations to be completely portable or self contained.